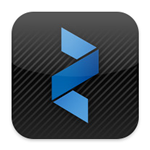 Green Blizzard’s most recent selection for Green App of the Month collection is the Seafood Watch app. This a highly rated, free app is a handy reference for when you are at the store buying fish, ordering sushi, or looking over a restaurant menu. It’s a quick list sustainable fish choices as well as those to avoid, helping you cast your vote for sustainability with your purchasing power. The creators of this Seafood Watch app, was the Monterey Aquarium, (pretty impression source) carefully selected these recommendations and for each fish there’s a picture, a sustainability rating, a short list of other market names for this same fish, and consumer notes. Smarter fish purchases actually lower your carbon footprint – so be sure to download the seafood watch app onto your phone or tablet device. It even has a separate sushi guide that tells you what type of fish is in each dish. Best of all its free and works on both iPad, iPhone, and iPod Touch and consumes very little memory. 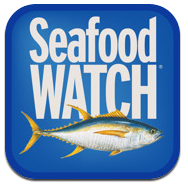 Check out the Seafood Watch Homepage for more information. Are you a fish lover? Green Blizzard’s recent article about over-fishing provides more insights into this global problem and how its effecting our carbon footprint.